Employers are often perplexed by how much they should spend on employee benefits. How much is too much for things like vacation time or bonuses? A recent report released by the U.S. Bureau of Labor Statistics showed that benefits make up about 30% of the average worker’s total compensation. According to this September 2018 report, employer paid benefits represent 46% of an employee’s wage. So, if I pay you one dollar in base pay, I would on average pay you $0.46 in benefits! That’s a number most employers and employees do not know. And if you are a gracious employer, like most of COMPackage’s customers, it’s even more! And if you never tell your employees, or their managers, they will never know! During a job interview, open ended questions provide valuable opportunities to peek behind the veil of prepared answers and find out what a job candidate is really like. The following are interview questions designed to get applicants to reveal more about themselves. As an hiring manager, pay attention to not only how impressive well the candidate can speak of themself, but also to how the candidate demonstrates her willingness to take the initiative in answering the question. Self motivated employees can do their jobs without constant supervision or motivational tricks. This question is designed to test technical knowledge. While candidates may claim to have experience in your industry, a question like this will test whether or not they actually know what they are doing. This question tests honesty and sense of personal responsibility. Does the candidate take responsibility for their failures or do they blame others? Do they learn from their mistakes? Can they answer the question without going into personal details? This is a great way to indirectly find out whether or not a candidate can put their self in the shoes of another co-worker and to find out how well they can work with others, and also empathize with others. We all have had at least one conflict with a coworker in the past. 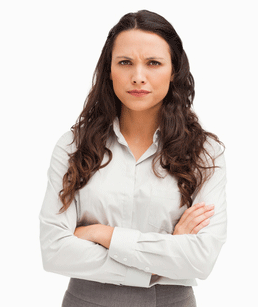 If the applicant denies ever having a conflict, dig a little deeper. This question is valuable for helping you determine whether or not a candidate is a good team player. The ability to work under pressure demonstrates that an employee is committed and can handle stress. For this question, look for specific answers that illustrate strength under pressure. This can reveal how your applicant works with superiors and whether he will fit well under the new management style. Does the applicant have plenty of bad things to say about her last boss? Does she respond well to professional criticism? Ask for specific examples to back up her evaluation. I came up with 7 — would love for you to share more in the comments! Also, if you’re recruiting new employees, you may want to include an employee benefit statement during the interview to showcase how much your company spends on salary and benefits for your employees. Is it part of your job description to complete regular performance reviews? If so, this is not something you should take lightly. It is important to do this at least once per year with each employee that you are responsible for. So, what are the downsides of infrequent performance reviews? Employees don’t have any feedback on what they are doing right, what they are doing wrong, etc. In turn, they continue doing things the same way and never progress as a worker. In the end, both parties are held back from reaching their maximum potential. Out of touch for too long. Let’s be honest, there are times when you go month after month without speaking to some employees. While this is more common in large companies, it happens everywhere. Business owners need to share their vision with employees at every turn in the road. With an annual performance review, you will have time to focus on each employee’s contribution to the company. One missed review can cause future trouble for you (the owner), the employee, and others in the company. Take this situation, for example. You have to fire an office manager because he failed to meet your expectations. While you have the right to do so, wouldn’t it be better for both parties to discuss this in a performance review? Performance reviews need to occur regardless of salary expectations, such as a raise. It is not always about money. A review shows leadership and coaching, while ensuring that employees are growing and moving towards company goals. Now do you see the downside of infrequent performance reviews? Avoid falling into this trap, or face the trouble outlined above. 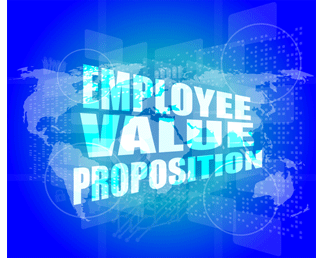 Are You Communicating Your Company’s Employee Value Proposition (EVP)? The process of recruiting and retaining top talent is today’s toughest job. Because as an employer, you need your employees as much as they need you, you should actively communicate your employee value proposition (EVP) to potential and existing employees. An EVP is a strategy of everything a company has to offer to an employee. It is usually divided into salary and benefits, and it varies depending on the employee’s role, tasks, credentials, and skills. If an EVP is planned out well and laid out in detail, the employee will know the actual value of the compensation package they’re getting, and also the reasons they are getting it. Were they headhunted from a competing company, and are now being offered a compensation package they should find irresistible? Did they perform well in the past year and now have given a significant raise not just in salary but in perks as well? Then they should know all about it through their personal total compensation statement. An EVP is essentially a sales pitch, and should be treated as such. All companies have their own particular EVP, whether well-defined or not. Nevertheless, for the sake of attracting and maintaining top talent, it behooves you to have your company’s EVP clearly defined. How does your EVP compare to your competition? Or maybe the better question is, is your EVP, and whatever actions you take to communicate it, working well to recruit and retain employees? Is your company’s EVP in sync with your company’s core values? For example, if your company values loyalty, your EVP might include additional incentives for employees who meet a specific length of service. An EVP is not a one-time thing. You don’t develop it and then just leave it there. It has to be regularly reviewed and continuously improved to be competitive. For example, technology is rapidly changing the way people work. Think about it: If the last time you’ve updated your company’s EVP was five year ago, then your telecommuting perks (if you have them in the first place) need to be revised in light of the new digital solutions that have made remote working easier and smoother. Instead of offering just one day for working from home, maybe your company can now afford to make it the whole five days. But that’s just one thing to look out for. Aside from streamlining your EVP, employee compensation software can also help with highlighting the important values that can drive an employee’s compensation. As with marketing to customers, marketing to employees shouldn’t come across as generic if you want to make a lasting impact. Because, today, you can tailor your EVP on a total compensation report accordingly. Employee compensation software solutions, like those from COMPackage, also help with transparency. You never want your employees to feel shortchanged, so you must be able to explain their compensation package instantly, regularly and repeatedly in order to promote your EVP. Can Employee Benefit Statement Software Really Improve Recruitment and Retention? In today’s competitive recruitment landscape, an employer like you should not only value your employees; you should also make it clear to your employees just how much you value them. It sounds like common sense to do so, but you’ll be surprised at how many employers fail to let employees know the exact monetary worth of their total compensation package. Minor benefits like summer Fridays or corporate discounts are always appreciated, but also often underestimated. As a result, employees don’t often realize what they’re getting. Thus, it’s important for your company to use employee benefit statement software to break down and keep track of employees’ benefits. Using such software helps with the recruitment of new employees and the retention of existing employees. Here are a few reasons why. 1) Transparency – As mentioned, employees appreciate their benefits more if they know exactly what they’re getting. Even non-monetary benefits like mentoring programs and flexible schedules have monetary equivalents, and employees should know about those. People pick and stay at a job for more reasons than money; but there’s no denying that money plays a big part, so it’s best for your company to emphasize that. 2) Spotlight – Some benefits are unique enough to deserve being highlighted; otherwise, they may end up being taken for granted. A few examples of such benefits are free parking, wellness plans, and pet care. These are not considered core benefits, but some companies offer them to motivate employees. But because these are not core benefits, they need to be brought to attention to employees in their employee benefit statements. 3) Automation – Newly added, removed, or updated benefits are automatically reflected in the employee benefit statements, so that employees always see the most accurate listing and calculation of their benefits at any given moment. At the same time, you don’t need to manually adjust statements each time there is a change in benefits when you use employee benefit statement software. It’s a win-win situation for everyone involved. 4) Awareness – Benefits can go unused if employees are either unaware these exist in the first place, or they know but simply forget later on. However, using employee benefit statement software changes all that. Employees can quickly check which benefits they have and haven’t used yet, and also how to use them in case they still haven’t. You’d be surprised at how many employees fail to take advantage of all their benefits simply because they don’t know how to. Is using employee benefit statement software the right path for your company? There’s only one way to find out, which is to try it out yourself. But given the advantages already listed out here, the answer to the question is quite clear. Joseph Blattner is the founder of COMPackage.com, the world’s first online employee benefits software solution. Over the past 12 months, most companies have increased their benefits to remain competitive, with health and wellness seeing the largest increases according to the Society for Human Resource Management. Here are seven ways that your company can increase competitiveness by taking advantage of Employee Benefit Reports. Stay on-trend. To compete in the marketplace for the best employees, providing on-trend benefits is one way to ensure that potential employees will take a close look at your company. With prepared reports, potential employees never have to guess at what you have to offer. Increase the perception of the value of your benefits. 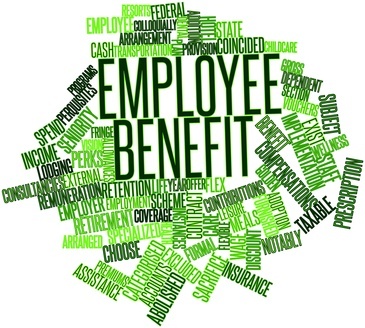 When you write out your benefits for employees in an Employee Benefit Report, while it does not increase the dollar value, many employees will have the perception that their benefits are worth more – and this added benefit can be achieved with negligible expense. Improve your employee morale. One thing is clear: happy employees know their worth, and nothing says it better than a clear presentation of all the benefits each employee receives. Use your Employee Benefit Report to attract and retain employees. For many employees, benefits will contribute up to 43% of an employee’s base pay. When you want to attract or keep the best talent, showing them what they can expect will help them to see their importance and to see their quality of life while working at your company. Reduce the use of sick days and other absenteeism. It might seem counterintuitive but presenting your employees their benefits relating to the sick day policy and others regarding paid/unpaid time off has been found to reduce, among other things, employee sick days. Consistent engagement. Once you have done all the work to bring in the best of the best, keeping that talent and improving production requires a strong team. 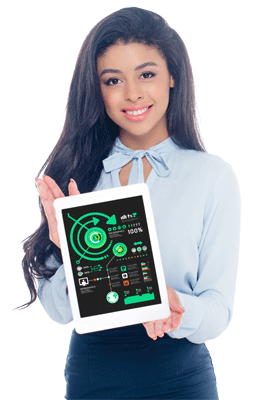 You can leverage your Employee Benefit Report by using it to engage employees through questionnaires, team building, hosting Q&A meetings (during and after office hours), and other events that show those changes in rollouts of new Employee Benefit Reports. If you’re ready to take the next step, you may find it’s easier, and less expensive than you imagined. 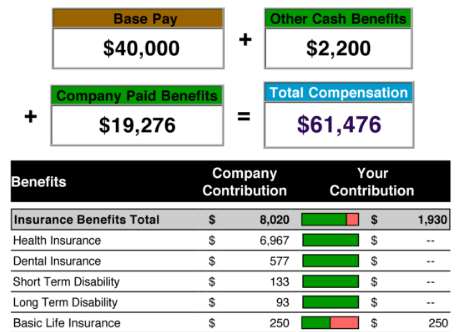 Check out Employee Benefit Reports from COMPackage. There’s even a 30-day full-refund guarantee if you’re not fully satisfied. Is Identity Protection a Good Benefit to Offer Employees? How important is it to your organization to have “identity protection” show up in your employees’ total compensation reports? In the past few years, concerns over identity theft have slowly been making their way into benefit options as companies look differently at protecting their employees from data hacks. With the massive security breach at Equifax Inc., which, according to USA.gov affected 143 million consumers, even more companies are likely to add identify theft protection to their complement of employee benefits as early as 2018. Current estimates are that about 35 percent of companies now offer some sort of identity theft protection. The reasons are straightforward. Security breaches expose an individual’s personal data – driver’s license, bank account, and social security numbers – to relentless hackers. 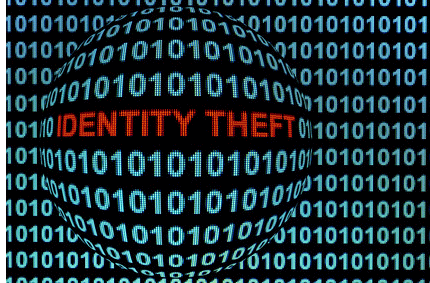 The Insurance Information Institute notes that in the last seven years, identity thieves have amassed $107 billion from stolen identities. Many hackers take the data to sell it, such as bundling credit numbers to sell in groups to willing buyers, or keep the best data to use for themselves and use it to steal from unsuspecting individuals. From law offices to Dropbox, hacks pose a serious threat to employee well-being, and company benefits are a critical avenue for companies to respond. And companies must respond because the costs of identify hacks are high. 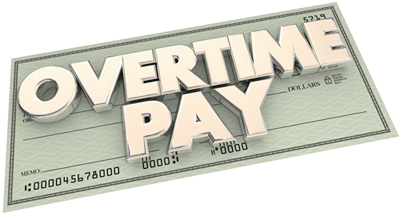 For employees, the costs extend far beyond recovering overcoming any direct financial losses. It can take months of phone calls, emails, and correspondence to contact creditors and repair credit reports. Most of those calls must be made during working hours, so many victims of identity theft are either distracted at work or need to take some time off. The amount of time an employee must consume during normal working hours to straighten out this mess that’s of no cause of their own are way more hours of company time than any company would want to lose. But, the employee has no choice. So, if you won’t give it to them, they may feel forced to take it anyhow. Other victims find that having their identity stolen is traumatic, which means they must also recover from the emotional stress. For these reasons, identity theft can lower employee productivity. For companies, however, the benefit to the bottom line begins with their employee’s well-being. While the jury is still out on the effectiveness of anti-identity theft protection, studies show that employees gain peace of mind from the benefit, and with peace of mind comes increased productivity – and profitability. Identity-theft protection offers peace of mind to companies, too, because most hackers make their way into corporate accounts through employee’s personal records. Shutting down employee identify theft also protects the company. The best news for employees and employers is that the benefit is not only low-cost to employees since it is non-taxable benefit, but companies can usually get the employee coverage from issuing companies either free-of-charge or at a steep discount. There is a great likelihood that companies can successfully negotiate a preferred rate from a quality service. It should come as no surprise that the fastest growing benefit option is identity theft protection. So, companies moving too slowly with ramping up their identify theft protection benefit risk losing their competitive edge in recruiting and retaining valuable employees.